The course is still open for late applications. The schedule for the summer course of 2013 can be downloaded here: Course schedule "Human Spaceflight and Exploration 2013" The course in 2015 will be more intensive; we shall work at the weekend as well as during the week. The course will take place in the exotic town of Kiruna, which lies in the north of Sweden, above the Arctic Circle, about 600 km from the central Umeå campus. The town's northerly location makes it an ideal place to observe auroral phenomena during the winter, which has lead to the establishment of space research organisations, industry and space-related education in the area. In August the summer days are very long. It is often said that the town lies in the heart of Europe's last wilderness, and there is no doubt that Kiruna has much to offer anyone who likes the outdoor life. This course is suitable for students from Sweden and abroad studying on traditional science and engineering degree programmes as well as medical students, school teachers and other young professionals interested in technology and space. It is expected that about 35 students will participate. Kiruna is accessed by plane in approximately 90 minutes from Arlanda, Stockholm's international airport ( Scandinavian Airlines and Norwegian ), by train or by bus from various locations in Sweden. 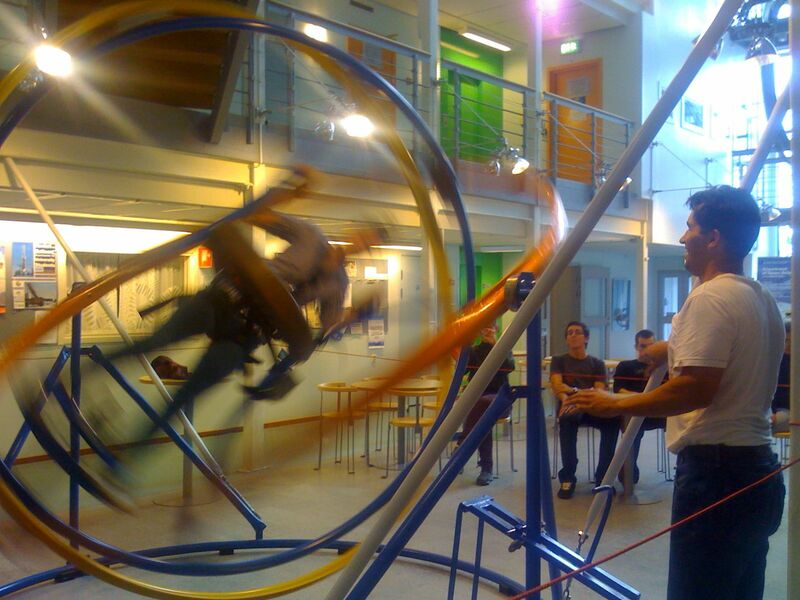 In addition students must fulfil the special eligibility requirement for this course which is a physics major at upper secondary school level or have similar qualifications. All applications must be made on-line. You will be directed to the appropriate website by clicking here: On-line application . Note that the course belongs to the period Summer 2015. Once you have entered your on-line application you can upload documents or print out a cover sheet and send it together with your supporting documents to the address given. Any paper clips, staplers and bindings delay the handling of your application so please avoid using them. You will be able to check that your supporting documents have been registered on 'Your pages/Your application'. Note that all the applications are processed by the international admissions office and that the physics department plays no role in the selection process. To be accepted by the admissions office it is imperative that you submit the correct documentation to support your application. In order to expedite the processing of your application, they require a copy of the page in your passport with your personal data and photograph, or some other identification document. You must prove that you fulfil the general and special eligibility requirements which for most people will mean sending witnessed copies of your school leaving certificates, NOT proof of university studies. To witness the documents a person whose full name and contact information are given, should sign the copy writing that it is a true copy of the original. This person's contact details should also be given in case the admissions office needs to contact him/her. All copies submitted should be witnessed. Original letters written by university tutors are sometimes acceptable if the certificates are not available. More detailed information regarding how you can fulfil the general requirements of eligibility if you have GCE- and GCSE-qualifications from the United Kingdom. Kiruna is accessed by plane in approximately 90 minutes from Arlanda, Stockholm's international airport with ( Scandinavian Airlines )and Norwegian, by train or by bus from various locations in Sweden. For many foreign students the cheapest route to Kiruna is a cheap flight, with for example Ryan Air, to Skavsta or Västerås, airports in the vicinity of Stockholm, followed by the overnight train to Kiruna. There are airport busses between the Kiruna airport and the town centre ( Click here for bus information). Note that you do not need to buy these books in order to take the course! Russian Spacesuits, Isaak P. Abramov and Å. Ingemar Skoog, 2003, Springer-Praxis. US Spacesuits, Kenneth S. Thomas and Harold J. McMann, 2006, Springer-Praxis.